Modern marketing is about creating ‘lovemark’ brands that engage emotionally with consumers and create loyalty beyond reason, one of the world’s leading brand strategist claims. 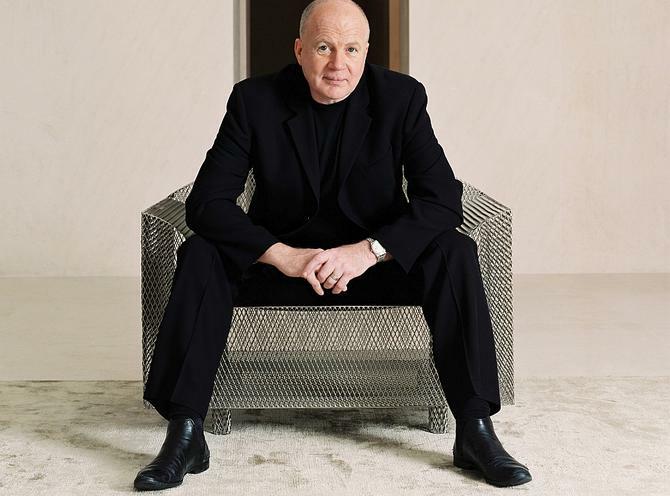 According to Saatchi & Saatchi executive chairman, Kevin Roberts, today’s successful brands tune into a customer’s emotional needs and wants, and strive to create “movements of people”. To get there, CMOs must not only harness data and digital, they also require an IQ in creative leadership. Roberts should know what it takes; he’s built his career on successful brand strategy development. As well as having 17 years with Saatchi & Saatchi under his belt, Roberts was formerly chief operating officer of Lion Nathan, helping spearhead the company’s growth in Asia-Pacific. He was also CEO of Pepsi in Canada and Pepsi-Cola in the Middle East, and previously held several executive and marketing positions at Procter & Gamble in Europe and the Middle East before joining with Mary Quant in London. Roberts will be in Australia in November to speak at the World Marketing and Sales Forum in Melbourne. He caught up with CMO ahead of the conference to talk about the death of marketing as we know it, creative leadership, and why marketers should be leading digital disruption. You recently stated that marketing and advertising are dead. What is it that’s replaced them, and what should be the guiding principles of modern marketing functions and CMOs? Kevin Roberts: ‘Marketing is dead’ – though not advertising, far from it. Marketing was something that was done to consumers by marketing departments, imposed on viewers through perfect media distribution systems. The Web and social blew all that up, and delivered control from marketers to consumers. The guiding principle of modern marketing is to create ‘lovemarks’: Highly-evolved brands that are dedicated to engaging emotionally, rather than the table stakes of rational benefits and attributes. The role of the CMO today is to wrangle with all the data stuff – it’s essential but it’s a one-hour, early morning activity – then for the rest of the day be completely focused on ideas, inspiration, emotion, creativity and connections. The role of the CMO is not to target audiences but to create movements of people who are loyal beyond reason. I’m not sure ‘chief movement officer’ is the right job title, but the idea of it conveys the intention. Advertising, however, is truly alive in this vibrant, unreal, crazy and astounding world. Advertising is one of the most pliable terms around. Think of communications in the broadest possible sense, with 500 options for activation. Brands need to broadcast, and lovemarks need to engage and sustain; both need to strategically invest in relationships with people, and tactically shift product. How does the concept of brand change in light of the new customer-led, digital-first era? Roberts: Lovemarks are the future beyond brands. This is the change. Reason leads to conclusions; emotion leads to action. Operationally, this requires you to have a mobile-first approach and layer out from the smartphone. Video is paramount thanks to the compelling combination of sight, sound and motion. People have three questions of any communication a brand puts in front of them: Do I want to see it again? Do I want to share it? And do I want to improve it, tinker with it, retool it? Don’t think storytelling, practice story sharing. The theme of the World Marketing and Sales Forum this year is “disrupting your business”. What does it take as a leader to lead disruption? Roberts: Creative leadership. A famous IBM study of more than 1500 global CEOs showed that creativity was the most crucial factor for future success, more so than rigour, management discipline, integrity or even vision. Creative leadership is the key ingredient for disrupting your business because it inspires a creative culture, creative people and creative ideas that ignite growth. Creative leaders are able to do this in three ways. One, they share a dream, and they’re able to articulate that dream through clear, concise and compelling language that drives purpose, creates belief, and gives direction. Just look at the early stages of the US presidential election: No candidate has yet been able to articulate in a simple, emotive way just why he or she wants to be president. Two, creative leaders stay in beta. Meaning, they have lots of ideas, constantly. It’s often not the epoch-defining idea that makes a company successful, but the small, intuitive tweak, 2 per cent off from centre, which spurs growth. Staying in beta also means finding ways to reframe the conversation around a product or service. Thirdly, creative leaders unleash emotion. Amazon and Jeff Bezos emotionalised customer service by first determining what the customer wants, and working backwards from there. Virgin Atlantic put the emotion back into flying: They made being at 35,000-feet fun, entertaining and glamorous again. Apple put emotion back into computers by caring as much about clean, elegant, intuitive design aesthetics as programming, and by defining presence through absence. How much is it the responsibility of CMOs to facilitate and lead disruption in their organisation? Roberts: The CMO role is a vitally important one, and people in that position need to work hand-in-hand with their CEO to communicate the organisation’s purpose internally and externally. A Gartner study that said by 2017, the CMO will spend more on IT than the CIO. And I thought, well, good luck to the new ‘chief metric officer’. For real disruption to occur, the CMO also needs to think of him/herself as a ‘chief magic officer’, because magic is always needed when we’re talking about creative leadership. What role does creativity play in disrupting your business? Roberts: Creativity is about connecting things. So read weird stuff, experience unusual things, and ask difficult questions. Drive it all towards stories wrapped in mystery, sensuality and intimacy. The ways in which we tell stories change, but what people need from stories hasn’t really changed at all. That’s a long way of saying that before it’s anything else, creativity is about honouring what it means to be human. Much of the competitive advantage left to organisations today comes down to how they can rapidly evolve ideas and innovate to meet the expectations of connected consumers in their moment of need. What advice do you have on how to better propel ideas and innovation? The winning equation for the age of now is IQ+EQ+TQ+BQ, all powered by CQ. IQ: You have to be smart. EQ: You need emotional dexterity. TQ: Tech is an enabler not a trap. BQ: you better be bloody quick, because execution is 80 per cent of the game. And the whole equation is fuelled by CQ: the power of creativity. The organisations that hold themselves back rely too much on any single part of that equation. They read the lines but not between them. You need creative leaders who can work every quadrant, simultaneously, holistically.